I spent my day with Ollie. Sam went to school, Jed and Jonah headed to Woods Hole, and Mark and Heather drove to Boston. Heather goes to WGBH in Boston every Tuesday to record a weekly science piece for a public television program called Greater Boston. She usually has to drive alone, but today she was able to drive up with Mark as a work colleague from Woods Hole was coming up later and could bring her home. This left Ollie and I home alone and we had a fantastic day. Ollie loves to laugh and is just the easiest child to hang out with. He plays well alone and his only demand is that you read books to him . . . and read books . . . and read books. I think he could sit and be read to all day, but we also played outside, played with cars and trucks in the playroom, and played ‘laundry.’ The ‘laundry’ game was helping Oma fold clothes. 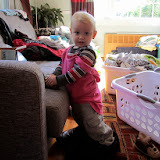 Ollie loves pushing the baskets of laundry around and at one point he put on a pink tank top of his mom’s and put on his daddy’s shoes. What a site! Heather and Jed don’t want to send Ollie back to daycare until he is healthy. Right now he is still battling the double ear infections and a cold. But he is getting better. I will continue to help by providing daycare for Ollie until it is time for us to leave. Mark had his quarterly CT scan this afternoon and will get the results in the morning when he meets with his oncologist. He will then return home and assuming he gets a clean bill of health, we will get serious about getting ready to head south. It is looking like there might be a window next Wednesday, Thursday, and Friday. In any case, we will pack the v-berth with things we are taking from storage to Justin and Jo and do all of the last minute provisioning and boat jobs. Then we will wait for what we hope will be the ‘just right’ time to leave. We are in a bit of a holding pattern. We aren’t seeing a good 3-day window for our trip from here to the Chesapeake in the next week, so we will watch and wait. In the meantime, I will be providing daycare for Ollie. Last Thursday he had an 18-month check-up and the doctor found that he has yet another double ear infection. He had ear infections all last winter and now they have returned. And in addition to the ear infections, he gets upper-respiratory infections way too often. As a result, he has gained almost no weight since this time last year. So the next few days are going to be dedicated to getting Ollie well and then trying to find a way to keep him that way. It is so sad to see Ollie constantly fighting these infections. He is absolutely the sweetest little guy in the whole wide world. Well, except for a very stubborn streak that is just starting to rear its ugly head. Instead of going to Boston with Mark for the next two days, I will stay here. Mark goes to Mass General tomorrow for a routine CT scan. He will spend the night with Sue and John Reed, Jed’s aunt and uncle, and return to Mass General to get the scan results on Wednesday. If all is well, then he has the green light to go south and not have to return to Mass General for another CT scan until this time next year. He will get quarterly blood tests, but that can be done wherever we are. He will return to the Cape on Wednesday afternoon and then we will continue our search for the weather window. It is not clear at this point whether or not I will be continuing to be Ollie’s daycare through the end of the week, but that will be decided dependent on what Heather and Jed decide to do about his current daycare situation. So again, it is a holding pattern. But I can’t end this log without mentioning the fun we had today. Sam was up bright and early and all of us were up at it by 7:30 am. We had our coldest night this fall with the temp dropping into the upper 40’s, so we plugged in a heater to warm the cabin this morning. Jonah loved it and decided to sit in front of the heater to start his day. Sam decided he wanted to go fishing and Jonah thought that was a great idea as well, so I took them to Stoney Beach and we fished off the stone jetty there. There were no fish, but this was a practice to get us ready for fishing out in Great Harbor from the dinghy. We had hoped to catch minnows to use as bait to catch Blues in Great Harbor, but we caught nothing. 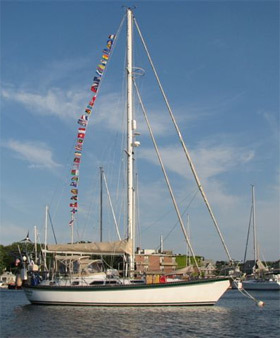 In the end, Sam ended up going to Great Harbor with Granddad and Jonah and I stayed on the boat. When we returned from Stoney, Jonah had had enough fishing for one day. We didn’t end up with fish for dinner, but it was a fun morning. Then this evening we went to dinner with Heather, Jed, and boys to Pax and Tim’s. This is a couple with two little boys that live just around the corner from Heather and Jed. We had a wonderful dinner and it was actually warm enough to eat outside. Today was dedicated to celebrating fall with a little necessary shopping thrown in for good measure. We didn’t do exactly what we had planned, as we found out that the apple orchard in Wrentham is closed for picking. The point of going to Wrentham to celebrate fall by picking apples was so that Heather could go shopping at the outlet mall there and then join everyone. Instead, Heather and I left a couple of hours early and went to Wrentham to shop. I went with her to give feedback on choices and Mark stayed with Jed to help take care of the boys. Mid-afternoon Heather and I drove back south and west and met Mark, Jed, and the boys at the same orchard we went to last year. Peter’s Family Orchard is in Acushnet, on the way to Rhode Island, but it is closer to the Cape than Wrentham. Acushnet is home to a number of farms and it was quite picturesque today—white picket fences, stone walls, trees dressed in their fall colors, and the landscape dotted with bright orange pumpkins here and there. So the adjusted plan worked out just fine. Heather shopped ‘til she dropped taking advantage of the fantastic Columbus Day Weekend sales and the boys had fun picking apples. 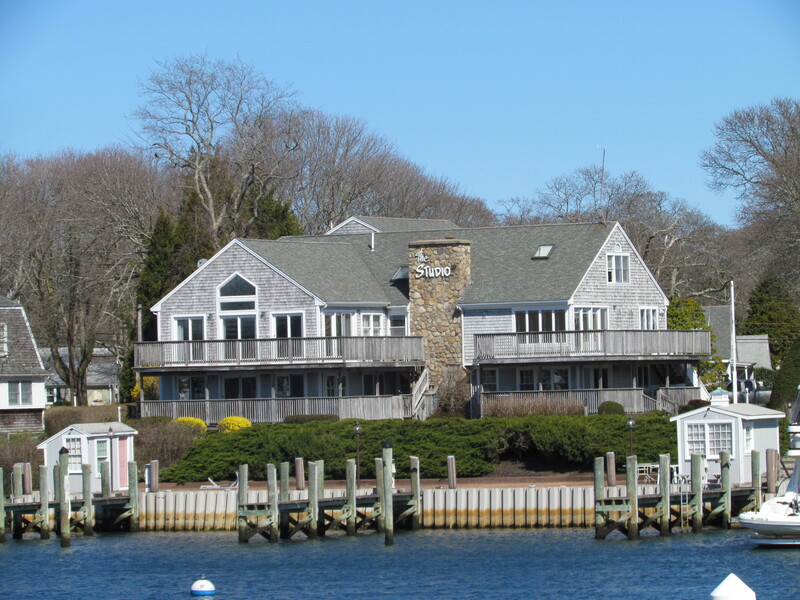 When we returned to the Cape, we went to Heather and Jed’s to have dinner to celebrate harvest time. We had breaded and fried green tomatoes and zucchini from Heather and Jed’s garden, locally grown kale and acorn squash, and a pork loin cooked on the grill. It was delicious and we made note that tomorrow is the official Canadian Thanksgiving Day. After dinner, Sam and Jonah headed back to Woods Hole with us for another night on the boat. It is looking more and more like we will not be leaving here this week as planned. The weather is just not looking good over the extended seven to ten-day forecast period. So we are going to be hanging around a bit longer than we planned. 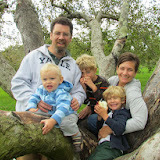 We got an email today from friends Paul and Marie Miller. When we were in Tonga waiting for that ever elusive weather window needed to head to New Zealand, they bought ‘weather window’ t-shirts. In their email today they offered to send them to us! Thanks for thinking of us, Paul and Marie, and if this weather continues to be uncooperative, we might take you up on your offer. 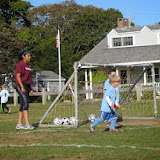 Saturdays here are all about soccer with Jonah playing at 9 am and Sam at noon. 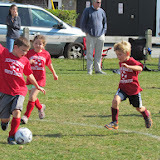 Jonah and his four year-old teammates are starting to really get the hang of the game. At least they are no longer kicking the ball toward to the wrong goal! Jonah has waited so long to be able to play (you have to four) and he is loving it. By Sam’s age, the kids are more serious about the game and they play hard for an hour. We have really enjoyed watching both boys play this fall. Even Granddad, who is not keen on competitive sports, enjoys these Saturday mornings. In-between games today, Mark and I brought all three boys back to the boat for lunch. 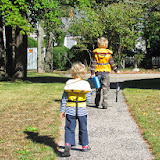 Ollie really wants to do everything his big brothers do these days, so when I asked him if he wanted to go to the boat with Oma and Granddad, he looked at Heather and said, “Bye, bye.” Taking the boys gave Heather a chance to run home and do a fall check on the bee hives. I didn’t get the full report, but it looks like there’s not going to be enough honey harvest and still have enough left in the hives to feed the bees for the winter. Maybe next year. Jonah and Sam decided they wanted to spend another night on the boat tonight, but Heather and Jed told them they could only do it if they could come too. They have missed the big boys. So tonight all of the Goldstones are onboard. We had a taco dinner and I think we will all turn in early tonight. Tomorrow morning Heather and I are headed north of the Cape to the Wrentham Outlet Mall. Now that Heather has to go to Boston to WGBH every Tuesday do a TV piece, she needs some new clothes. What you can wear to work to do radio in Woods Hole is not the same as going to work to do television in Boston, so this little shopping foray without kids is long overdue. Jed, Mark, and the three boys will head up just before noon and we will meet at an apple orchard in Wrentham to do a little apple picking. When we get home we are going to have a fall feast. Since we won’t be here for Thanksgiving, this will be our fall celebration dinner. But speaking of not being here for Thanksgiving, we are both spending a lot of time looking at the weather and it is not looking good for a departure later this week. Who knows, maybe we will still be here for Thanksgiving! First we thought we could leave this Thursday, then it moved to Saturday, and now it is looking like it could be Tuesday or Wednesday of next week or maybe longer before we can get away. We’ll be doing a lot of weather watching in the days to come. 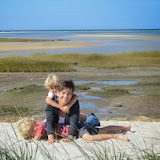 Today was a school holiday, so we enjoyed the day with Heather and boys at the Cape Cod Museum of Natural History. The forecast indicated a partly cloudy day with a good chance of rain, but after an overcast beginning, we had an absolutely gorgeous day. Sam was up early and we built with little Legos in the cockpit until Granddad and Jonah got up. Then while I fixed breakfast, Granddad played Legos with both boys and then they went out on the dock to ‘pretend’ fish and just enjoy the morning. 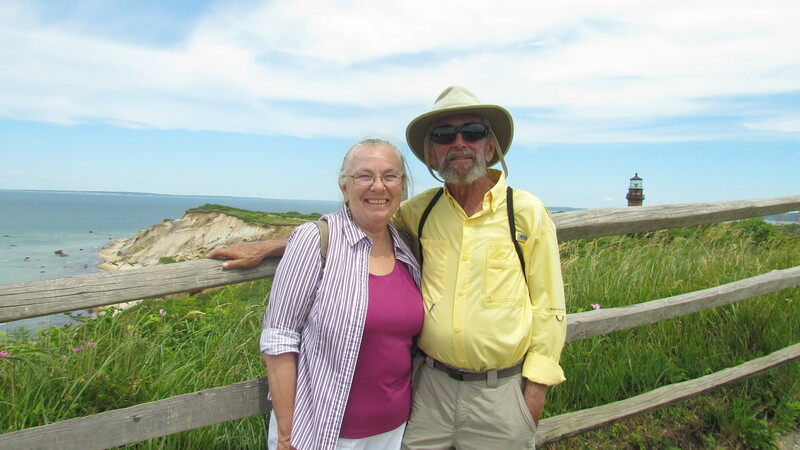 Once Heather, Jed, and Ollie arrived in Woods Hole, we met up with them, said good-bye to Jed who had to work, and headed to the Cape Cod Museum of Natural History. It is a tiny museum, but Sam and Jonah enjoy it there. Heather and Mark have never been there, and what the boys really wanted them to see was outside the museum. We did the long walk out to the seashore. The tide was very low and it was beautiful. We frolicked in the sand and walked in the tidal flats. Well, most of us walked. But Jonah ran through the puddles of water like a sprite. Of course he ended up with wet pants despite repeated reminders, but I think the wet pants were worth it. It is a 15-minute walk out to the tidal flats and little Ollie insisted on walking most of the way. When he got to the beach, he literally rolled in the sand. By the time we got back to the Museum, we were all worn out, but we spent a couple of hours exploring before heading home. Sam and Jonah came back to Windbird with us for another overnight. Tonight we ate pizza while watching another episode of Blue Planet, had S’mores for dessert, and then read for a good chunk of time before putting the boys to bed. It was an early turn-in tonight as they both were exhausted. And tomorrow is another busy day. They both have soccer and then a birthday party. Mollie, the little girl who lives next door, is turning five, so the Keefe’s are having their annual fall party to celebrate. I won’t say it was fun, but we had a productive day sorting through things in our storage unit. It is always overwhelming, but box by box, we sorted, threw some things away, and found other ‘treasures’ to take to Justin and Jo. When he and Jo packed up and headed west in 2007, they left everything in our storage unit. Little by little, we have sorted through things, and I’m sure we’ll still be doing the same a year or two from now, but we did make progress today. The only problem is that we found so many things that there is no way we can fit it all in the v-berth to take to them in Culebra without sinking Windbird! So we’ll have to make some choices. The really good news is that Justin, Jo, Ziggy, Coco, and the three dogs and two cats landed safely in San Juan yesterday and made the last ferry to Culebra with just 20 minutes to spare. Justin wrote an email that said, “We are here! We lived!” And I read on Jo’s Facebook that they swam and snorkeled today, and started making “house home” by unpacking the first load of 25 parcels that arrived from the PO. Since Puerto Rico is part of the US mail system, they sent things in Priority boxes. They had to send many boxes, but it was a fairly inexpensive way to get lots of things sent to their new island home. Culebra sounds like a magical little island, and we certainly wish them happiness in their new venture. Mark and I called Heather and offered to pick Sam up from school today and she took us up on the offer. We all met at Ollie’s daycare where the Goldstones were all going to get flu shots. Mark and I thought this was a good idea, so we went to the closest CVS and got ours as well. We then went to the liquor store to buy beer for the trip south. We prefer to drink beer in bottles as long as we are close to shore, so we are stocking up on cases of our brew of choice which is Amstel Light–a compromise that we can both live with. At least we can still compromise. And that is certainly more than I can say for our politicians in Washington. As we were getting ready to leave the liquor store, I got a call from Heather. When we met at Ollie’s daycare, we had made a spur of the moment arrangement for Sam and Jonah to come to Woods Hole after dinner to spend the night. Heather thought they needed to go home to eat dinner and get clothes, etc. But logistically, it made much more sense for them to just go to Woods Hole with us, so Heather called to make this proposal. We met at Kappy’s (the liquor store) and then we headed to Windbird. We decided to fix breakfast for dinner again. We did this the last time the boys stayed onboard, It was quite a hit then and was again tonight. They decided they wanted to see the second episode in the Blue Planet video series, so they started watching while I started cooking. We ate in ‘courses’—fresh raspberries for Jonah (Sam doesn’t eat ‘wet’fruit), then bacon, then sausage for Sam (Jonah says he eats only ‘pig’ and his definition of that is bacon), then French toast for Jonah and scrambled eggs for Sam. By the time they finished eating, we were into episode three of the Blue Planet and they were absolutely stuffed!